I have not taken my JORD watch off since I got it! It’s beautiful, classic and really comfortable to wear. It goes with absolutely everything! I am a lover of nature, but I was still surprised about how much I have LOVED the zebrawood band. It is gorgeous and so lightweight. I am also so impressed with the quality – I have received so many compliments! 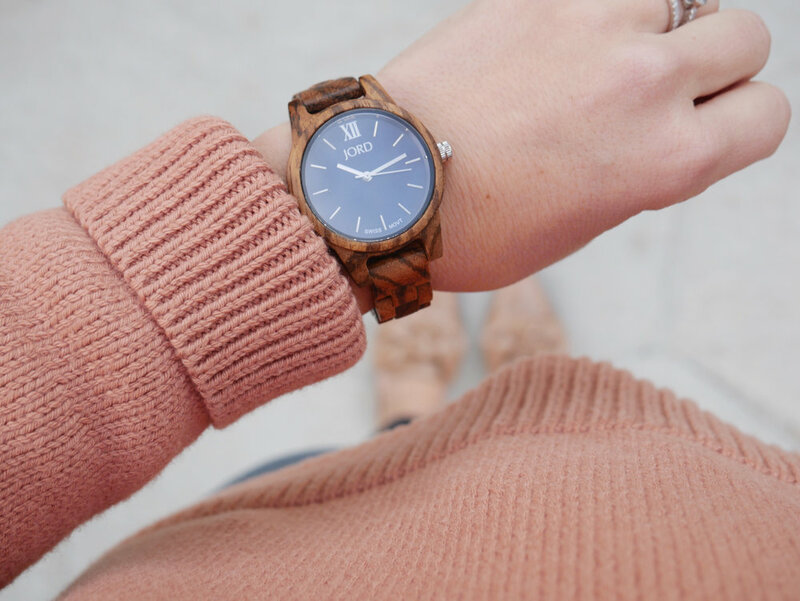 I think that JORD Wood Watches would make an EXCELLENT Valentines gift for Him or Her! JORD has so many styles and colors to choose from – I seriously love them all! There’s even a few rosegold options! See below for a GIVEAWAY!! Contest ends February 7th .. Good Luck! !